Easterns Automotive Group's newest used car dealership opened in Alexandria, VA (just outside of Arlington). Easterns works hard to maintain a five-star reputation and is one of Washington DC top-rated car dealerships. 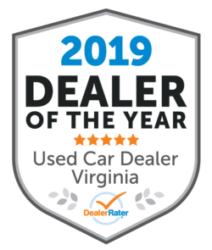 Eastern Motors houses one of Virginia and Maryland’s most extensive inventory of certified pre-owned cars. Our financing team will help you to drive away with the car of your dreams, even if you're dealing with poor credit or a recent Chapter 7 personal bankruptcy claim. At Easterns, Your Job is Your Credit ™. 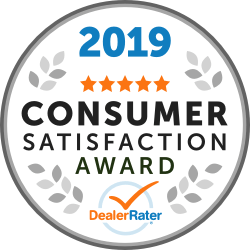 Since 1988, Easterns has helped thousands of customers find the used car they need at prices they can afford, and regardless of your credit, Easterns can find you the perfect car for you and your family. At Easterns, Your Job is Your Credit™. We understand that credit scores don’t tell the whole story, and shouldn’t be the main obstacle to financing. The Easterns team is committed to finding the perfect used car for every customer regardless of having poor credit, bad credit and even those recovering from filing for Chapter 7 or 13 bankruptcy. Start your financing from home today and drive the car you deserve! "Buy here, pay here" car dealerships in Alexandria may take advantage of sub-prime car buyers. These Dealers can charge high prices for high-mileage vehicles in poor condition. These often include large down payments and will include unfairly high interest rates. This can add up to thousands of dollars additionally spent by an unsuspecting buyer. Let Easterns Automotive Group be the Alternative to a Buy Here Pay Here to help save you money! We sell used cars differently by always offering honest pricing and putting excellent customer service above all else. We leverage our special relationships with banks and other lending institutions to get you an auto loan, even with less than perfect credit If you are looking for a certified used cars in Alexandria or Arlington, visit our location and see why we are known as the best used car dealership group in the DMV.